This little chap’s got rather a splendid cape! 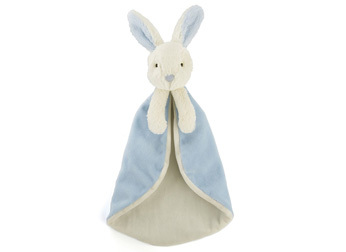 The Bobtail Bunny Blue Soother is gorgeously coloured, with cloudy-cream and sky-blue fur. Soft little paws and long, scrummy ears make him even more adorable. When will this set be available?